We are the best Driving School according to the results of taking examinations in MREO (Interregional Registration and Examination Department of the State Road Safety Inspectorate (Traffic Police)! 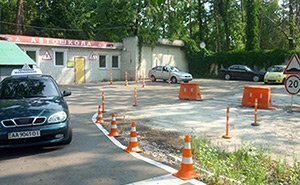 The Driving School of Safe Driving and the Structural Division of the Driving School 'Zhaivoronok' have taught driving, since 2002. We have gained authority among the inhabitants of Kyiv City and the region. 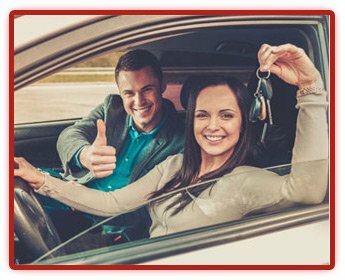 Our Driving School is one of the best schools both in terms of study quality and price reasonableness. You can take 3 weeks of free training at our School! Road Safety and Emergency Courses! The employees of our Driving School, led by the teacher Mr. N.I. Osadchyi have developed materials on this theme, that have a significant importance in the preparation of the future driver. Our Driving School has a completely new car fleet, although not expensive but the following comfortable cars: Lanos, Lada Priora, ZAZ Sens, ZAZ Vida, Skoda and KIA Serato. 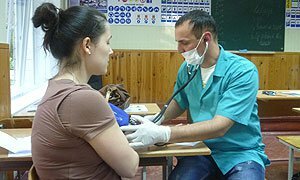 Pass examination in health is fast and convenient! A team of qualified doctors conduct an examination of the students at our Driving School at a certain time that makes it possible for students to save time for the issue of a Medical Certificate! Car device in the full scope! The Driving school ‘Zhaivoronok’ has its own Class of Vehicle Unit in which all the details and units of the car are presented. We provide our students by educational literature at our Driving School! Students can purchase the latest editions of Traffic Rules, Exam Tickets (Kyiv and Kharkiv Program) at the lowest prices at our Driving School! The full Course Program provides practical driving! Our Driving School provides driving, which consists of 40 hours, not 10 hours as other driving schools! All interested persons can take private lessons of driving. Phone us: +38 067 391 68 82, please! Difficult questions are analyzed from the Exam Tickets of the State Automobile Inspectorate (Traffic Police) in the classroom. The tuition fees are made in stages, the first payment is made by students only after they have listened to several classes at our Driving School. Register for a free lesson!